F.M.Rudych. Is there a lot of power which is necessary for the authority? Ф.М.Рудич. Много ли власти нужно власти? 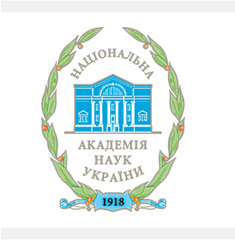 – Видавництво «Наукова думка» НАН України, 2009 – 302 с. The monograph is prepared on the basis of the scientific researches results, the previous publications of the author. In the book, theoretical problems of a society political system, the tendency in formation and reforming of political system in modern Ukraine are exposed. On the basis of the comparative analysis, identification of common features and differences, transformation of political structures in the CIS and Baltic countries, Central and the Eastern Europe is shown. In the final section, one of the actual vital topics – geopolitics as a science: a theoretical and applied context, a place and a role of Ukraine in the geopolitical world is stated. The monograph is intended for politicians, political scientists, historians, philosophers, jurists, teachers and students of higher educational institutions, all who is interested in a political life of the country.